Do you have an access code from the book? Have you already activated your code? Download sample pages (PDF) and audio from Essential Reading Second Edition. You will need Adobe Reader® to view the sample pages. This can be obtained from the Adobe® site free of charge. 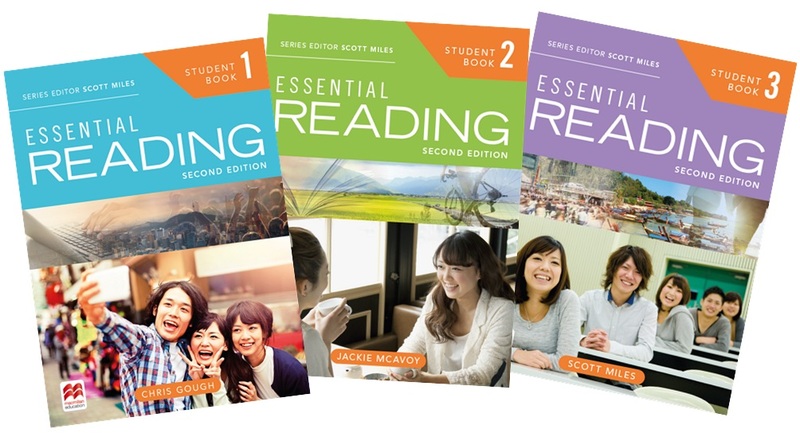 Essential Reading Second Edition is a three-level course for young adult and adult learners, from A2 to B1+. It teaches essential reading skills through texts with a variety of engaging topics tailored to Asian learners. This second edition offers a new design, updated materials to reflect changing society and trends, and a completely new Teacher’s Presentation Kit to aid classroom teaching. Our customer service team is available from 8:00 am until 5:30 pm UK time Monday – Friday. Get in touch with them or read our collection of FAQs to find an answer to your question.